The Valeco Group, a major player in renewable energy project development in France, has sold 49% of a holding company owning nine wind and solar power projects in France to Mirova-Eurofideme 3, a fund managed by Mirova, a subsidiary of Natixis Asset Management dedicated to responsible investment, The projects were developed and will be built by the Valeco Group which retains the remaining 51% ownership. The projects will become operational gradually between 2016 and 2018 and will generate 430 GWh of green power per year, the equivalent of the annual consumption of approximately 140,000 homes. The Valeco Group will manage the construction of all of the projects and then will operate and maintain the wind farms and the photovoltaic plants. The total investment amounts to nearly €300 million, part of which has been financed by project finance debt provided by a pool of French banks. The banks provided the Valeco Group and Mirova with an innovative financial structure which will allow to optimize the construction of the projects. 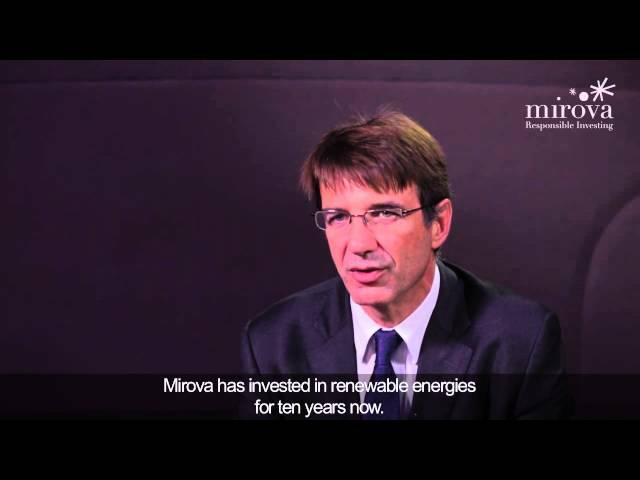 Following this new transaction, Mirova-Eurofideme 3 will have completed 12 investments in the amount of approximately €160 million (out of the fund's capacity of €350 million) since its creation and contributed to the financing of nearly 580 MW of renewable energy projects.